Company claims to have 'complete cure for cancer' within a year, but is it too good to be true? There are over 200 human cancers, one expert said. An Israeli biopharmaceutical company recently announced that it would be able to cure cancer within the next year. But is this claim too good to be true? 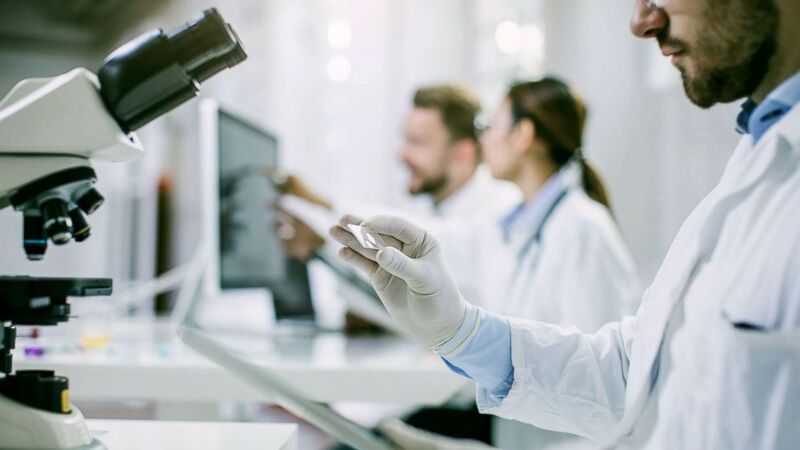 AEBi claims it has developed a technology that makes use of personalized therapy to target cancer cells specific to each patient, a claim that has been met with skepticism in the medical community. Emphasizing that the company wants to help people who have cancer, a representative for AEBi told ABC News that the company has worked on the science of the platform for more than a decade and that for more than four years, it had dedicated itself to applying the technology to both generic and personal solutions for cancer. He also clarified that the company planned to start trials on people within a year, not have an FDA-approved product ready. Targeted cancer therapy is not new. Researchers have already been able to target specific components of cancer cells by replicating antibodies, the proteins that our bodies naturally produce to mark disease cells for the immune system to attack. More than a dozen of these antibodies have already been approved by the FDA to treat different cancers, such as some types of breast cancer and some forms of leukemia. Phage display uses viruses that infect bacteria, called phages, which hijack the bacteria’s cellular machinery to replicate into more viruses. Scientists have figured out how to insert foreign genetic material into phages to create drugs, which replicate along with the viruses — adalimumab, which treats rheumatoid arthritis, is one of them. According to the company, its technology would use phage display to create multiple therapeutic peptides in order to target more than one receptor at a time — something current drugs made with phage display can’t do. “Instead of attacking receptors one at a time, we attack receptors three at a time — not even cancer can mutate three receptors at the same time,” Ilan Morad, Ph.D., founder and CEO of AEBi, told The Post. AEBi declined requests for comment from ABC News. However, in December 2018, Aridor tweeted images of a press release announcing that the United States Patent Office had issued a patent for the company’s technology. AEBi claims to have had success killing cancer cells in the lab with its therapeutic peptides. However, its studies on the matter have not been published in peer-reviewed scientific journals. AEBi’s representative, however, told ABC News that the company has presented its research for peer review at three international drug discovery conferences and received positive feedback. Additionally, AEBi claims that it hasn’t submitted its work for peer review yet because it is still in the process of patenting its technology in international markets. New drugs require a long approval process before they are available for use by the public, and the studies supporting the drug are scrutinized closely. On average, it takes 12 years for a drug to be approved by the FDA, and only one out of 5,000 drugs that enter pre-clinical testing are typically approved for use in people. Luca said that without seeing the results, there’s no reason to take AEBi’s claims seriously. Editor’s Note: This article has been updated to include statements from an AEBi representative after the story was originally published.